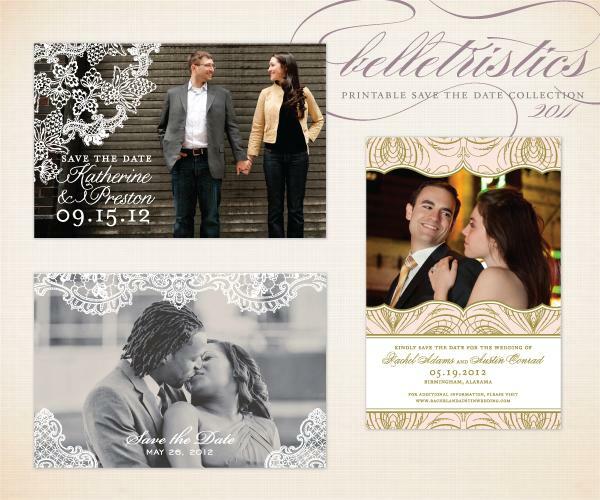 Belletristics is a design studio specializing in printable wedding stationery for the do-it-yourself bride. They just launched a new line of printable save the date cards, and in celebration they would like to giveaway one save the date design to a lucky Postcards & Pretties reader. Pick your favorite design (choose from designs featuring a photo or without) from Belletristics' website or Etsy shop. Your design will be personalized with your colors and event information, and sent to you via email in ready to print PDF format. 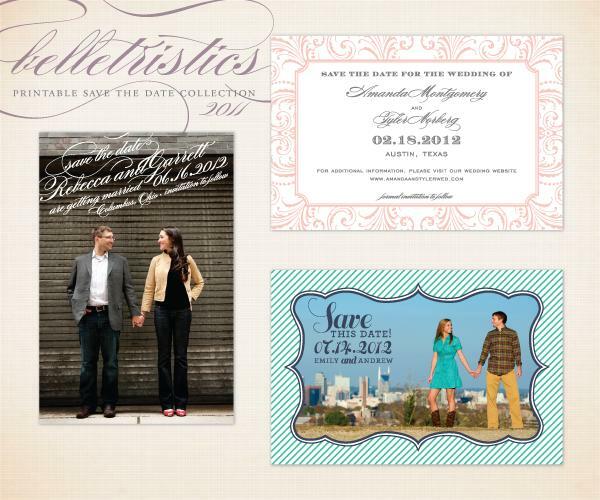 ~ visit Belletristics' website or Etsy shop and tell us which save the date design is your favorite. ~tweet this giveaway “ I ♥ #giveaways!! I just entered to win @belletristics save the date cards on @postcrdsprettie http://ow.ly/5lLx5"
*Giveaway does not include any printing, you will receive a PDF file of the design, ready to print at home or through a professional printer. I like Splendid save the date. I'm also following on twitter (@aandj8804). I love Delight! It has the perfect mix of fun and modern for my art museum wedding! 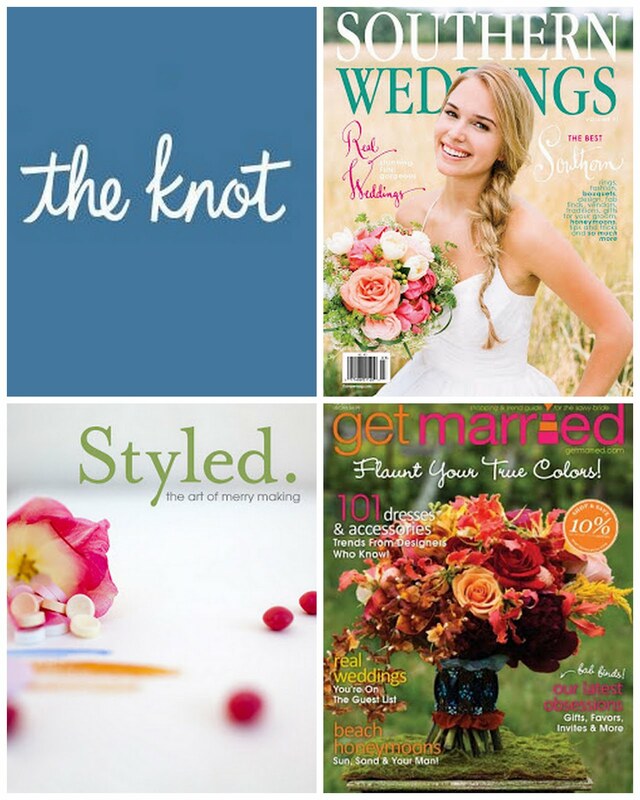 I just 'liked' Belletristics on facebook! How do I choose just one? I think it would ultimately come down to which engagment photo we chose but I love Smitten and Zen. I like Belletristics on Facebook! I love the Delight photo postcard. So charming and stylish! Ambrosia would be perfect for my wedding!! The Hope design fits really well into our wedding decor! I (@JASIVRAS) now follow Belletristics on Twitter! I "liked" Belletristics on Facebook! I love the ZEN design and i hope i will able to win it. It would be perfect to my wedding! I liked Belletristics on facebook! I followed Belletristics on Twitter! I like the zen save the date. I love the Grace save-the-date the most! I love the hope save the date!! I also 'liked' Belletristics on facebook!! I love the Euphoria save the date!